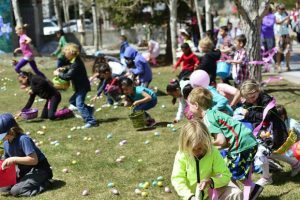 What is The Longevity Project?Why does Summit County, and other prosperous Colorado mountain communities, have the highest life expectancy in the country? 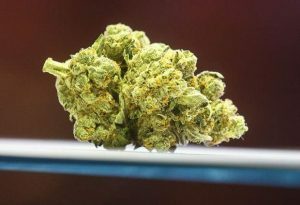 The Longevity Project is an in-depth editorial series by the Summit Daily News that will explore that question and more. 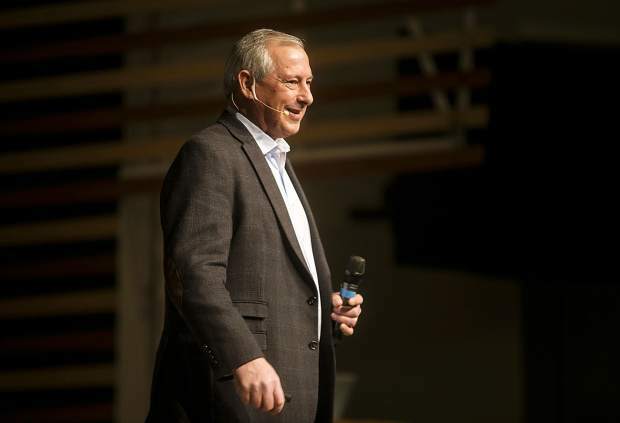 The series will culminate in a live event featuring Tony Buettner of the Blue Zones team on Tuesday, Feb. 27 at the Riverwalk Center in Breckenridge. 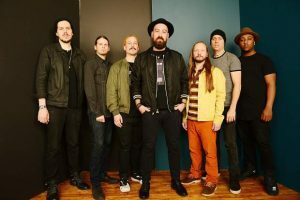 Doors open at 5:30 p.m. and the event begins at 6 p.m. Tickets are available now. She never stops! She still volunteers at the Hospital in the ED and is the volunteer coordinator and trainer. Sheri has been caroling throughout the hospital for many years. She keeps up with her two young grandchildren and rarely misses a school event. Sheri will be returning to skiing this year, missing last year only due to a surgery (which did not make her happy). As her PT, she is one of very few patients that I have to tell to do fewer reps and stop and take it easy! Helen taught me how to be an OR nurse in 2007. She has been an integral part of the Vail Health Family for 20+ years. Even today, she still works PRN assisting in the delivery of C-section babies. She has taught and mentored countless nurses, techs and Fellows. She has participated in several mission trips to other countries to volunteer her time as a nurse. In her free time, she enjoys exercising at the Westin with her husband Bruce, biking, traveling, gardening and cooking. She is always the first to offer her home for the latest Vail Health employee baby shower! Helen is a ball of energy, a beautiful kind soul and an inspiration to all. Steve is still a red jacket on Vail Mountain and living fully and happily. He skis like a dream and he’s a terrific storyteller. He is a legend in Vail and as an original ski patroller. Keith Countryman has been an active figure in the Vail Valley since moving here in 2003. Active in the obvious sense; hiker, skier (since 1949 and still skiing today), fixture at the Avon Rec Center three times weekly and local fisherman. More importantly, Active in the community; Shaw Cancer Center, Vail Jazz, Bravo and town of Avon volunteer. 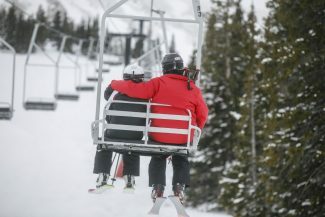 A recent octogenarian, Keith assembled friends and family this Nov. 17 (his 80th birthday) to ski with him on the scheduled opening day of Vail this fall. Mother Nature didn’t cooperate and the opening was delayed. He was more than ready, however. Keith, a Grandfather of three, inspires those around him with his zest for life, constant motion and passion for giving back to the Valley. My uncle Ted is quite a character. He is a fun and loving and kind man. He founded the Children’s Kindness Network. Ted loves to dance and dances every chance he gets. As one of the first to move to Vail, my grandfather is dearly respected by the Vail community. Not only does he ski over 100 days each year, but also he bikes up Vail Pass during the warmer weather days of the summer and fall. This past summer, Opi, German for grandpa, and I summited Mount Kilimanjaro, making him the oldest to ever reach the summit. My grandpa embodies vitality; he balances his time in the great outdoors, pursues his passion promoting plant-based nutrition, and he even makes it out to the local bars when his granddaughters are in town to join him. He greets everyone he meets and always sparks a unique conversation with people on the chairlift, in the grocery store, or even in his old red, white and blue VW bug. Opi still finds time to work; he does lab dental work for his daughter’s practice. He has a contagious smile and aspires to make the world a better place through promoting a healthy lifestyle and passion for how we make a living. 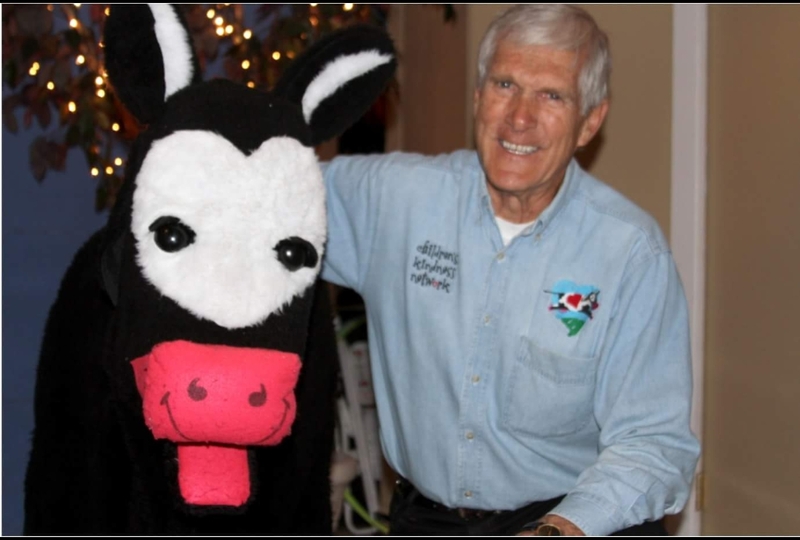 Bob is 85 and does volunteering in all of Summit County. He still skis, hikes and snowshoes. Bob is always willing to help anyone. Carol volunteers a bunch at the Summit County Senior Center as well as other places in the county. She also skies, hikes, snowshoes and line dances. In his 80s, Bill is still skiing and socializing when he comes to Vail for the winter. He also may still be practicing dentistry back in Baldwinsville New York. Sandy Gaylord may be 84 years old, but she works out with the “youngsters” in our exercise classes every morning at 8:am. Most of us are in our 60s and 70s. She is so upbeat and full of vitality that she is our role model. She is thoughtful and kind and the best friend and neighbor a community member could want. She loves the outdoors and leads a very active Colorado life-style. She is open-minded and adaptable. She is quick to befriend a stranger. My life is richer because Sandy Gaylord is in it. I know many others in the valley feel the same way. Egon has been active in this county for years. The Red Cross chapter in Summit County is named after Egon. He is at least 95 years old. He skied at Arapahoe Basin up until a few years ago. He has been very supportive of the Summit County Library System in helping bake for the December book sales in December. Dad is the youngest person I know, and he is 94! Boot is still skiing, chopping wood, meditating and hosting visitors from around the world to his ‘Ensculptic 7,’ his environmentally sculptured home. 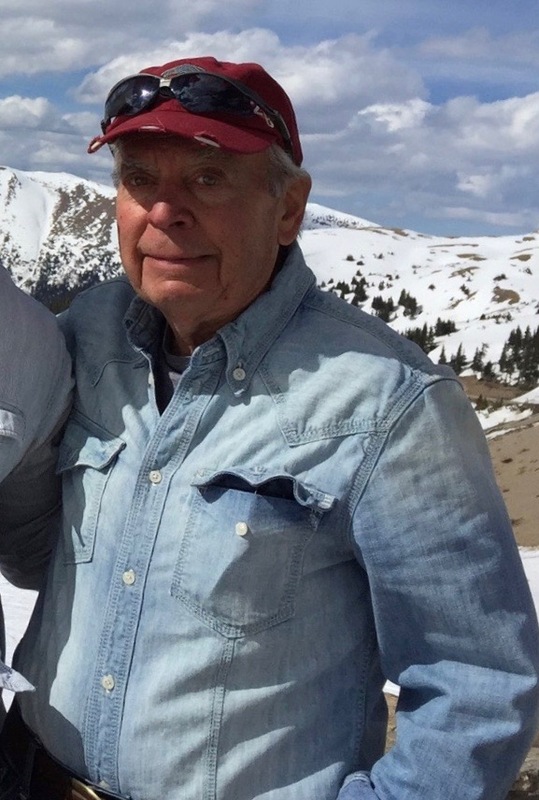 He taught skiing for 40 years and on the Sun Valley Ski Patrol in 1947. He is a charter member of PSIA. He taught first through 12th grades as a Master in Education, and began Frisco alternative HS with an emphasis on outdoor education. He flew seven missions in the South Pacific in WWII and two years in the Korean War. As a child, I remember when we explored the Boundary Waters of northern Minnesota. Six weeks for one visit, and only saw two others besides our family of five during those weeks of exploration. We moved to Europe for two years while he taught high school to military children. My first memory on skis was schussing the headwall at Bertschesgarten — standing atop Dad’s ski boots! ‘Hang on!’ he said, and I did! He has written nine books, seven are published. He is working on a prototype for aesthetic condo design, a new circular gondola system from DIA to Summit, and has designed an inexpensive beginner ski hill in Summit County with a T-Bar lift. He is the definition of the Summit Senior. Sue’s volunteer activities include Summit Public Radio, a past president for 10 years and a current, active Board Member; Summit Schools Mentor Program: current; generous supporter of the Summit Foundation, Community Care Clinic, FIRC, Lake Dillon Theater Company and many other local, national and international organizations. Sue is a Student of Global Warming: seeks research and active participation in the reality and affects of global warming. She has traveled to Greenland, Iceland and other Arctic areas to see the affects in person. She is a world traveler — it is not where Sue has traveled, rather where she has NOT traveled! Sue Greene comes in a small package, just 5’ and of a slight build. She has more energy in that little frame than most 30 year olds, male or female! Barbara has been a huge example of how one can age with grace, energy, health and creativity. She has lived around the world with her Scottish husband, has raised her children in various countries and has taught botanical art for many years. Vail was her home for many years as well as living in Cape Cod. 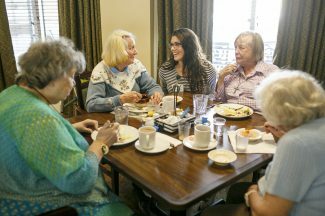 When her husband passed a few years ago, Barbara settled in Eagle County. She skis, hikes, eats extremely healthy food, gardens, helps instruct people in art, is a member of the Art Guild, dedicates her time teaching at Castle Peak, the assisted living center in Eagle. She also plays the piano and sings with the Eagle County choir. Barbara loves traveling and is making a trip to Galapagos Islands this spring. She’s an inspiration in so many ways and my dear friend. She was gracious to allow me to have her art in my last published book on healthy aging. Barbara hikes daily, cross-country skis, does yoga, sings and helps many in the community. She is an inspiration in lifestyle and attitude. Rock on my almost 88-year-old Mom! At 87, Barbara is an active teacher (teaches classes at Eagle Senior Center and private lessons) and artist (botanical illustrator, water colorist). She sings with the Dickens Choral and other groups. Barbara gardens, hikes, snow shoes or cross-country skis nearly every day. Travels (Galapagos planned for 2018 as well as with vacations with her twin sister). Continues to make new and lasting friends. 3 children, 5 grandchildren, 5 great-grand children. Werner has been active his whole life. At almost 90 he still skis many days with his wife, Isolde. At 25, he was in traction for 15 weeks from a skiing accident but was out skiing again the next season. Twenty years ago he had open heart surgery, but again was back skiing within six months. He believes that when you let yourself stop doing active things, you slowly (or not so slowly) die. He is keeping active and keeping alive! He will be having a large family reunion for his 90th birthday in March. He is inspiring! Roy is a gorgeous skier and he skis (in a good snow year) over 80 days. He lives six months a year in Pittsburgh and comes out to Edwards in the winter and lives with his daughter and son-in-law. He’s amazing! Bob is 86 and in great shape; he does pushups daily for instance. He’s also quite a great dancer. He gives lavish parties and has a grand life. He’s an inspiration! Mitzie is very active in the community, serving on the hospital foundation board, the community care clinic board and others, and a very generous philanthropist with her 92-year-old husband, Lex. Chuck is the most active person living here for his age. Chuck belongs to the Summit Mountain Biking group, which has people from the ages of late 50s to the 80s which is “Chuck.” He can out climb the 60-year-olds in the group. He still skis, road bikes and does cross-country skiing as well. Chuck is a volunteer for Friends of the Dillon Ranger District (FDRD) and is a crew leader for maintaining trails in the county. He is also a volunteer at the Copper Mountain Safety Program. Chuck had a group of about 35 people join him in Austria in 2016 for two weeks of road biking to celebrate his 80th birthday. Chuck is a healthy, active individual with many outdoor interests. Mountain biking is his forte, cycling with a group of “youngsters” who range from 50s to 70s. He’s the senior member of the group. Winter sports include cross-country and downhill skiing plus snowshoeing. 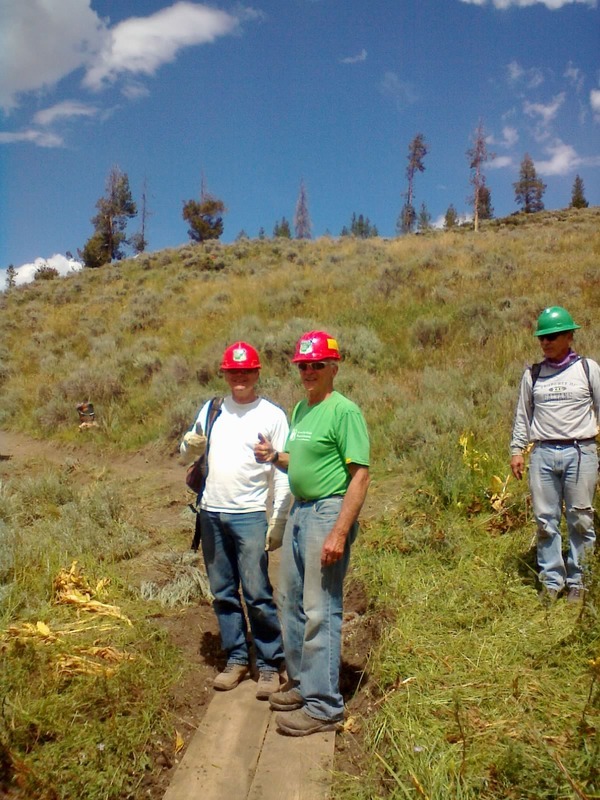 He volunteers for Friends of the Dillon Ranger District trail maintenance. 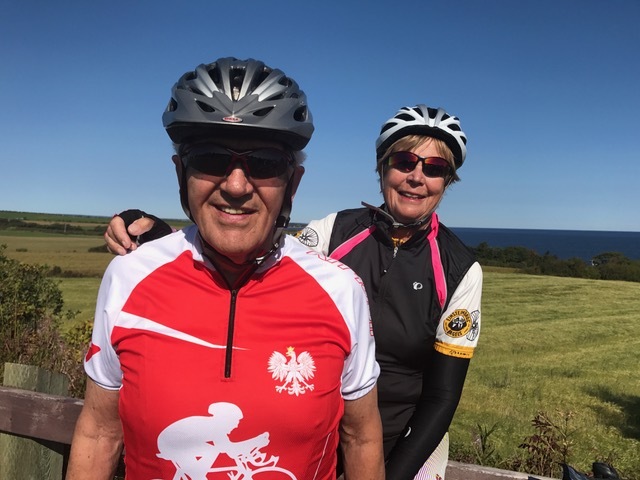 Chuck is a gregarious, fun-loving guy and many of his friends joined him to celebrate his 80th birthday road bike riding for two weeks in Austria. When he isn’t participating in a sport, you might find him dancing anywhere Doo Wop Denny is playing in the county. A longtime resident of Summit County, one of the first ski patrollers at A-Basin, one of the founders and former president of Summit County Search and Rescue, former prospector, restaurant owner (in Dillon), contractor, holder of 10 or more patents for aerial camera surveillance during his engineering career; continues to hike and backcountry ski and travels to South Padre Island to wind surf every April. Bob’s an avid fly fisherman. 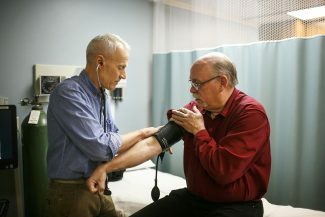 Elmer helped to establish laboratory services for the Community Care Clinic; he is an active member of the Summit County Forest Health Task Force, sings in the Lord of the Mountain Choir and in the Summit County Choral Society; has organized the Saturday metropolitan opera programs at CMC/Breck; is a much admired philanthropist and leader of his church. 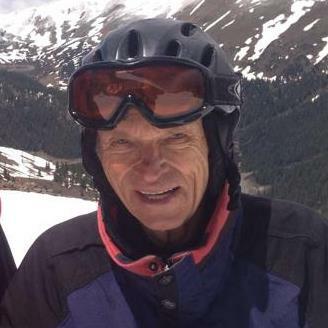 Ben moved to Vail in 1967, and was an avid skier from the beginning. The hill was just getting started, and he saw the great potential, so decided to settle and raise his family here. He became the Vail Golf Course superintendent, and built the golf course in some pretty tough landscape. Throughout his years here, he skied or golfed every day he wasn’t working. 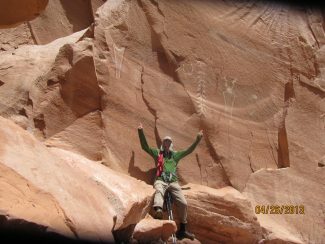 He hiked 14ers, dragged the family on long haul RV trips to Mexico and across the country, and lived every minute. He did such a good job establishing roots that his whole family, all four kids and eight grandchildren are still in the valley. Ben still lives a vibrant life. Though he can’t ski anymore — he had to stop a few years ago because his hips were not cooperating — he still golfs most days in the summer. He is often spotted out on his bike in Eagle Vail, “heading up the pass.” He dances two days a week at 4 Eagle Ranch and Route 6 Cafe — he’s the coveted dance partner with the great moves. He shovels his own driveway often. He still maintains his trailer park in Glenwood Springs every week, and often can be found in a ditch checking a water line. You’ll see him around town in his little red sports car with his “”Benhere”” plates. He travels often — it’s Las Vegas this week. He goes to all of his eight grandchildren’s events, from basketball to soccer to dance to rock climbing. He attends the semi-annual family Lake Powell houseboat trip. The sad part of having such longevity is that he spends much time visiting his ailing friends, telling bad jokes and listening to music. Ben is friend to all. Emma Jane Luebstorf is an energetic 85-year-old. Everyone knows her as Midge. The nickname has no association with her given name, but rather, an association with her height. Midge is almost 5 feet tall. This spunky 85-year-old is from Cadott, Wisconsin, where she has a son and daughter and their respective families. Midge has maintained her home and has even mowed the lawn herself until last year. Midge drives to Summit County on her own and winters in Dillon. She comes to the Colorado Rockies simply because she likes to ski. Midge is an avid skier. While in Colorado, Midge volunteers at Keystone Ski Resort guiding in the senior program called 50 Plus Ski with Us. Midge leads the group weekly, with the help of her friend Becky. Becky sweeps making sure no one is left behind. Becky stated the reason she likes to sweep is because Midge goes too fast for her. Midge bought new boots and skis this year, indicative of her desire to continue an active life style here in Summit County. 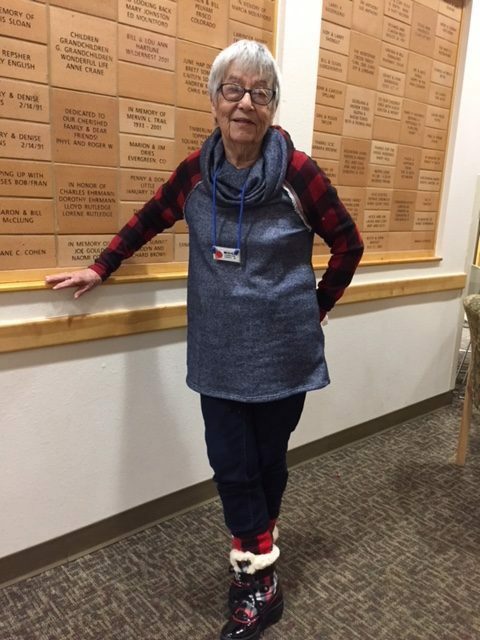 She has been a member of the Summit County Senior Center and Loosey Goosey for several years, volunteering her services throughout the winter season. On a recent trip to Costa Rica with her friends Annette and Becky, the group got a bit lost while hiking. They had to hike twice as far as expected. Midge kept a positive attitude and kept on trudging! They all were proud to finish the hike. In addition to skiing and hiking, Midge practices yoga faithfully both in Summit County and Cadott, Wisconsin. Midge is a color-coordinated dresser. Her outfits are trendy, giving a sense of comfort and fun, with color and glamour. She has a new outfit for every occasion, celebrating her individuality of style. On Monday afternoons, Midge can be found at the Dillon Dam Brewery with the many friends she has made over the years in Summit County. Midge leads an active and healthy lifestyle. She is certainly an example of an awesome octogenarian, the epitome of a long and amazing life. Skis almost every day, even skied while having chemo for prostate cancer. Scheduled his appointments to get to the mountain for the afternoon. Ed is 90 years old. He is a past president of the Summit County Seniors and was active in the building campaign of the Summit County Senior Center. He still downhill skis, attends an N-Balance class, walks/hikes, and attends social events (dinners, parties). Mary Kay Rachwalski is always looking for a new challenge. Having been a runner (first marathon in New York in 1974), Alpine, Nordic and backcountry skier, triathlete, international and domestic hiker for as long as I’ve known her, she isn’t slowing down and continues to look for new challenges. 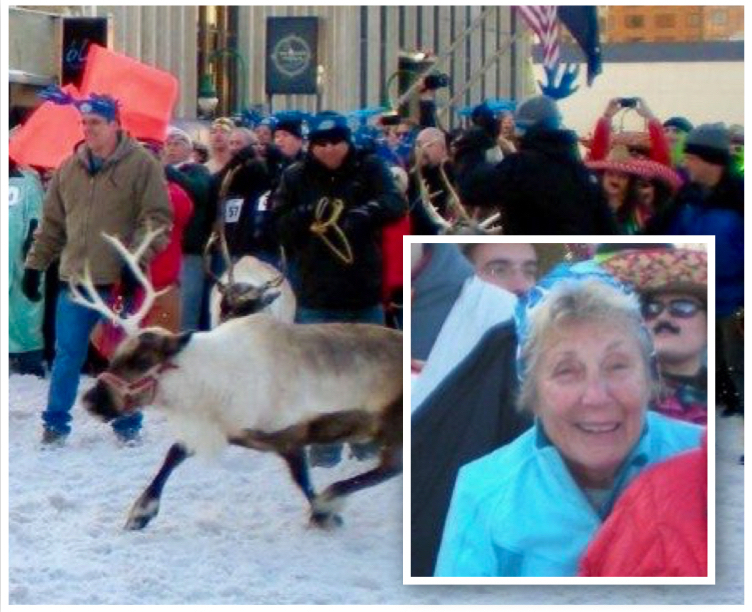 She skied the 25 km Tour of Anchorage and “Ran with the Reindeer” (Alaska’s answer to Pamplona’s bulls) as her hello to 8-0. Since then she has taken to exploring new 10 km Nordic racing venues participating in the Yellowstone Rendezvous and Crested Butte’s Alley Loop. Most recently she walked across America from Florida to California with time to explore American cultures one to one. Having fallen in love with the Iditarod Sled Dog Race and not content to just watch the start, this year she and two others will fly to the remote Rainy Pass checkpoint to have a better understanding of the race and volunteer with checkpoint duties. She expects that they will be assigned to Poop Patrol on the lake ice. Mary Kay has volunteered as a Court Appointed Special Advocate (CASA, Eagle County), Ski Guide for the Over The Hill Gang, Lake Dillon Theatre, National Repertory Orchestra, Summit County Library and the Silverthorne Sport Committee. Her grandchildren know her as the fun grandma who takes them tent camping. Mary Kay is a forever Bronco fan. She is an inspiration of all who know her and through this submission an inspiration to those who don’t — yet. Mary Kay Rachwalski is the epitome of an active octogenarian! She enjoys many outdoor activities including hiking, downhill skiing, cross-country skiing, walking and competing in distance races, and camping. She completed the New York Marathon, her first one, when she was in her 70s, and has been the winner of her age group in many Boulder, Boulder 10K races as well as the Slacker Half Marathon, the Georgetown to Idaho Springs Half Marathon, and the Gasparilla Distance Classic Half Marathon in Tampa, Florida, since she turned 80! In 2016, she was part of a group of four women who walked across the United States. She enjoys travelling, and most recently in August went on a hiking trip to the Canadian Rockies. Mary Kay also is a devotee of the arts and serves as a volunteer usher at the National Repertory Orchestra concerts in the summer, is a season ticket holder of the Lake Dillon Theatre, enjoys going to the movies, and is a member of a Book Club and a knitting group. She is also on the SPORT Committee of the Town of Silverthorne. In addition, Mary Kay is an active grandmother and each summer takes her two grandchildren on a camping trip. Thelma is inspiring. She’s as sharp as a tack and she walks in her community. She’s in book clubs and she is the caregiver for Herb, her 96-year-old husband. They live in their own house, which Thelma manages. Ernie, at 88, skies six out of seven days a week. He is also active in Vail life. Ernie and his wife have contributed to Vail in many ways. He is a highly regarded member of the Jewish community and has endowed a Youth Program. For many years, Ernie and his wife Roberta held a Symposium in Vail on current topics. Public was welcome. He has had many physical problems, but he is still out there having fun. Andy Searls, one of Summit County’s outstanding octogenarians, moved to Frisco in 2006. She still skis a couple of days a week as well as practicing pilates two days a week. She is an avid bridge player and plays at least two times a week. Every day you can find her either walking her favorite dogs, Mozart and Beethoven, or taking them to the dog park in Breck. 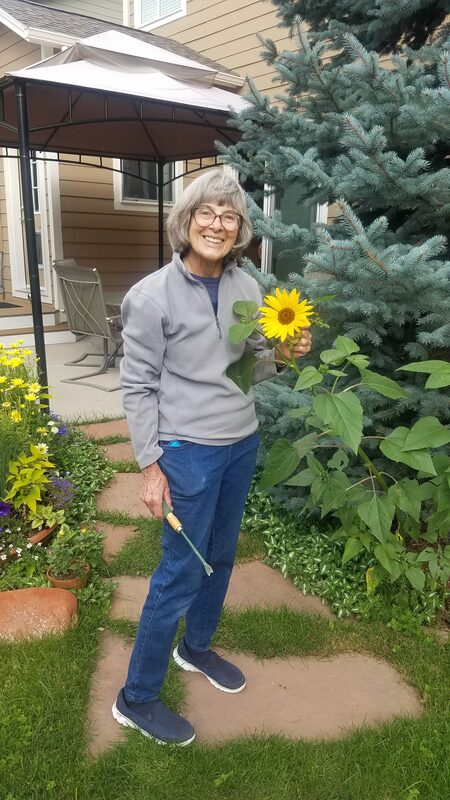 She is an active member of her church, St. Johns in Breckenridge and she spends a great deal of her time at the Senior Center where she has served on the Board, delivers Meals on Wheels and works to develop and promote housing for seniors. She also serves as the Senior Center’s representative on the Summit County Interfaith committee. Of course, she works on the yearly Senior Rummage sale and is usually willing to help out with a variety of other projects at the Senior Center. Andy has three sons and multiple grandchildren. She also shares her home with visiting medical interns who need a place to stay in Summit County while they complete their intern rotations. When she takes a break from all her volunteer activities she travels the world, often visiting places where she used to live. She is definitely the epitome of someone leading a long, amazing life committed to helping others. He is an incredible skier, and biker. Nothing holds him back. He seems so much younger than his years. A very socially active person, also. Ray is so amazing, he’s my husband’s and my role model. He’s an ambassador at Breckenridge, does bike trips with us, active volunteer and skis. Looking at Ray you would think he’s 70 and acts it too! A really nice guy to boot with a great wife. Hubert has contributed a lot to this county. Wonderful science and math teacher for decades, ski coach and mentor. He helped establish the Frisco Marina — he had first sail boat on the lake and very involved in all the races for decades. He helped establish and set course for first Gold Rush, and contributed stories and editorials over the years about astronomy, photography and other interesting things in the sciences to the local papers. Hubert is very involved in Father Methodist church-governing body, choir etc. He raised or helped to raise four children and several grandchildren here in Summit. He was the only person involved and the representative for the Civil Defense years ago. Hubert was a volunteer deputy for the Sheriff’s Department decades ago. He was part of early search and rescue teams and involved in the 1961 recovery of the bodies of the father and daughter who died on Quandary. John Taylor is a great example of longevity and vitality in our community. He is an avid hiker, Nordic skier and biker. 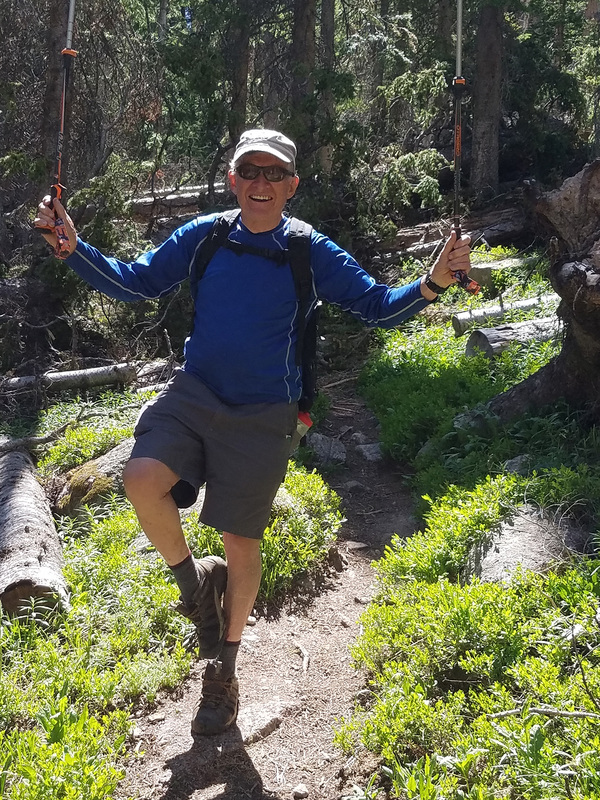 In this past year he competed at the World Masters Nordic competition, hiked the Dolomites and the Grand Canyon and completed the Bicycle Tour of Colorado. 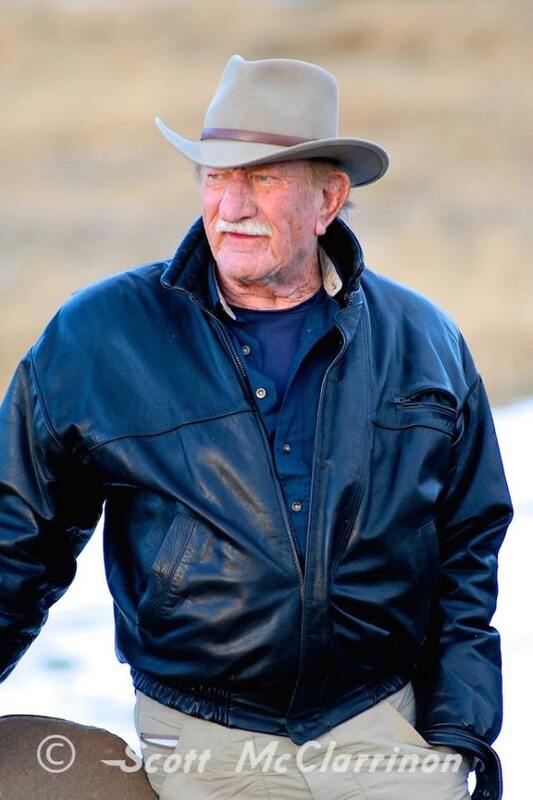 He is an equally active volunteer with his neighborhood homeowners association, Silverthorne government, Friends of the Eagles Nest Wilderness, Friends of the Dillon Ranger District as well as being a Weed Warrier and involved with local open space issues. He is a husband to Pat Taylor, a father to five girls and grandfather to six. I have always felt that one key to his vitality is plain old stubbornness. He doesn’t give up and he maintains a positive attitude. Gretchen is a remarkably active mother-in-law ever since she moved to Summit County to be near her first-born grandchild, my older son. She taught ski school to the tiniest tots at Keystone for many years. 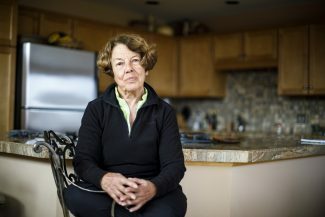 Gretchen had to give up downhill skiing about five years ago when she was seriously injured by an out-of-control skier at Copper Mountain. But you will find her at the Frisco Nordic Center on cross-country skis during the winter or in the gym at her Lagoon townhouse. She is an avid kayaker all summer long. Gretchen beat bladder cancer several years ago, and is currently in full remission. It never slowed her down even during treatment. She is a great bridge player, plays several times a week at the Frisco Senior Center. Finally, she has taken up painting in the last two years and is now turning out wonderful wildlife paintings, some of them painted on rocks. Gretchen is my role model for how I want to age gracefully in Summit County! Carroll is more than 80, still working full time, and a source of cheer and goodwill for colleagues, competitors and clients. Carroll is a very accomplished and renowned real estate broker, and yet it is her second career. She also has a tremendous amount of energy and optimism, and her sense of humor is unmatched. 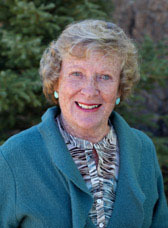 Carroll is over 80 and still very active in the Vail Valley personally and professionally. She is still working and very active in our community with Walking Mountains and skis as often as she can get up there. Still 100 percent on top of her game! Kent is an outstanding example of how to stay active. He has climbed the top 200 peaks in Colorado sans peak 15, plus 49 of the top peaks in each state. He currently set a schedule to skin up 100 times before his 80th birthday in March.